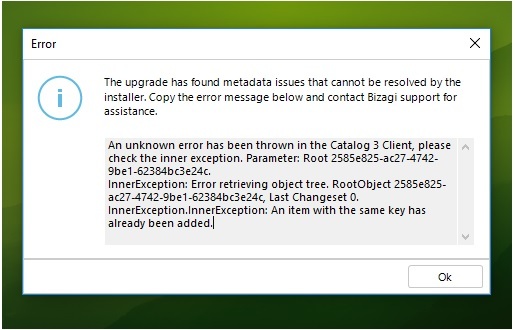 An error appears when migrating a project to Bizagi Sutio version 11.2. This error is caused due to issues with the metadata of your project which should be fixed by our Support Team. Article has been viewed 39 times.